The molding environment has a major effect on stability of the product quality. Nalux has invested in the equipment needed to minimize temperature and humidity changes and particulate levels. Automated production minimizes human error and smooths out production. Nalux is moving toward a next-generation production system where all equipment is monitored and controlled in an integrated system. 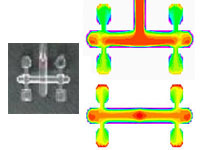 CAD mold flow software allows Nalux to design the optimum runner and gate system for any geometry. Using simulation software to optimize mold design and the molding process allows Nalux to faithfully replicate the optical structure in the mold from the mold to the molded part. 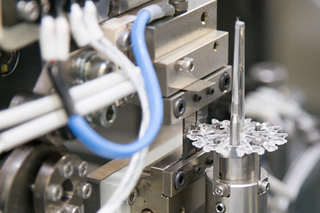 Proprietary molding methods allow for the fabrication of parts that have thick walls, low distortion, and accurately formed micro and nano structures.